Scott is an internet trailblazer and a passionate advocate of digital content marketing. As the President of Brandpoint, Scott enjoys working with a variety of brands and agencies, as well as his talented team. 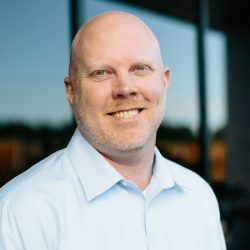 Scott has worked in sales and digital marketing for more than 20 years with deep experience in consumer marketing, brand building and management, and draws on this expertise to help Brandpoint’s clients create successful marketing strategies that get results. Is ‘Content Blindness’ The New ‘Banner Blindness’?